Get ready for an awesome journey! You are going to be amazed with sandy beaches, crystal clear ocean and friendly people of Mauritius! Go to botanical gardens and “Valee des couleurs”, visit one of the many island’s adventure parks to see giant tortoises and crocodiles. Pack your bags now and chill out on paradise beaches! 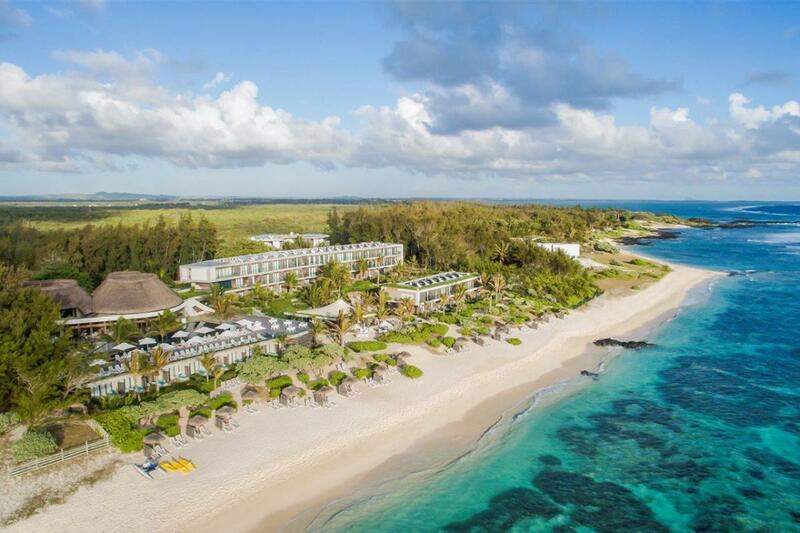 A blissful retreat in Mauritius, luxurious 4* Radisson Blu Poste Lafayette Resort & Spa is 1 minute walk from the beach. 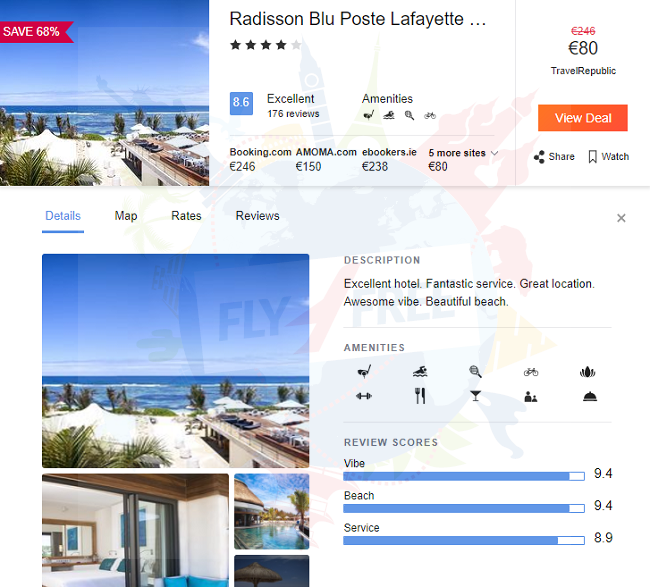 Located right on top of a white sandy beach, Radisson Blu Poste Lafayette Resort and Spa offers bright and spacious accommodation in an idyllic setting. The property also includes a spa and outdoor swimming pool. The air-conditioned rooms feature a desk, safe, private WC, TV and iPod docking station. Some rooms also have a terrace and views of the garden, pool, mountains or sea. Breakfast and dinner are included in the room rate, and are served in the resort’s bright and spacious dining room, which serves both local and international delicacies. Several restaurants are also available within a 10-minute drive. Guests can relax in the swimming pool area. The spa is also available for guests wishing to unwind and take in a relaxing massage or various treatments. Free WiFi is available in all areas of the property. The nearby beach offers guests with many beach-related activity options, from snorkeling to various other water sports. The 24-hour front desk staff will be happy to assist guests in organizing their preferred activities. Radisson Blu Poste Lafayette Resort and Spa is a 54-minute drive to Sir Seewoosagur Ramgoolam international Airport. New York or Washington to exotic Mauritius from $795!